With advancements in technology and the internet, as well as the changing tides of commerce, starting your own business has never been easier. And it turns out, many are dipping their toes into the entrepreneurial pool by starting out with their own t-shirt or apparel campaigns. The custom apparel industry has boomed in large part due to the low barrier of entry thanks to websites like Teespring, Teechip, and Represent to name a few. But as more and more people come aboard, the market is becoming oversaturated and it is becoming increasingly difficult for newbies to profit. Unfortunately, many new entrepreneurs lack the experience or education to create the systems that will one day turn their business into a sellable asset, and the marketing wherewithal to beat out their competition. 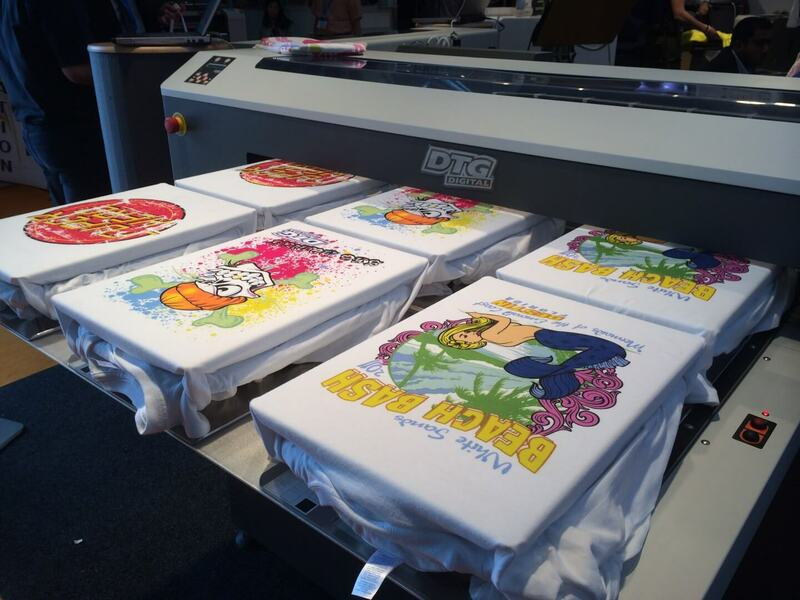 Whether you’re looking to kickstart your first custom apparel campaign or are struggling to make your current one work, we’re breaking down how to create a business plan for your t-shirt business that will put you on the path to success. Even if you’ve found some success with your campaigns, implementing the following steps will likely improve your success, boost your profitability, reduce your current workload and turn your business into a sellable asset, so follow along. There are several platforms available for sellers to choose from including, Teepsring, Teechip, Teezily, Represent, Viral Style. These platforms offer online design tools that allow you to create custom products in a few short minutes. Additionally you have access to marketing tools like URL tracking, third party analytics, and more, plus these platforms handle shipping so you don’t have to. While many people choose to start out using websites like Teespring, some sellers are moving to Shopify to start their own brand. Unlike the other platforms, with Shopify you are responsible for creating, posting, marketing and shipping your products independently. Though this may sound daunting to some, there are plenty of advantages to choosing Shopify as your platform, most notably, building your own personal brand. its design, layout, marketing and more. One of the first questions you need to answer before worrying about marketing and design is your niche. The niche you choose to move forward with can directly impact your audience size and potential sales. When making your decision you will want to choose something that has high levels of commerciality and little to no competition. Together these two factors can help you create viral campaigns and crush it in sales. With option one, you will likely end up investing several hours of your time and energy into the process, which is why we obviously prefer option two. Our niche tool allows you to instantly compare up to 50 niches at one time. Once our tool has pulled all the data from each niche you can then view a chart containing several different metrics including how many campaigns have launched recently, sales made, total active campaigns in that niche, and social media data. Choosing a niche blindly is not advised and can cost you time and money. Whichever route you choose to go down in terms of niche selection, make sure you have research and data to back it. Building an interested audience is critical if you want your t-shirt business, but how do you go about it? Many of these strategies intersect one another, for example, you can grow your email list via your Facebook page using the Call to Action button or via paid Facebook ads driving traffic to an email list opt-in page on your website. Unlike an email list, Facebook page or paid advertising, SEO (short for Search Engine Optimization) refers to the basic behind-the-scenes tweaks you can make to your website that will increase your ranking in search engines like Google. The closer you are to ranking number one on Google, the more chances your website will be seen by customers searching for your products. Regardless of which method you choose, the underlying need is to continuously reach new potential buyers and entice them to purchase your product. Perhaps one of the least glamorous aspects of growing your own business is creating the systems and processes that will allow you to organize it so it runs smoothly. Systems and processes refers to things like SOPs (standard operating procedures) that are essentially step-by-step instructions for tasks. These documents are meant to be so detailed that even someone who is unfamiliar with ex. a website would be able to perform the task. These also happen to be one of the golden tickets for turning your business into a sellable asset. In fact, this is a serious problem for most sellers. While they create a business that, for example, profits $1000 per day, they increase the valuation of their business. When it’s time to sell, having the right systems in place can be the difference between a big cash out and just quitting. In fact, many online businesses sell for 20x their monthly profit. If you increase monthly profit by ex. $10,000, you can make that back PLUS $200,000, but only if you have a business based on systems. Find out how much your business is worth here. Create systems, procedures and protocols for all of the tasks you complete in order for your business to function and not only will you be able to iron out any wrinkles in your daily operations, but you will save yourself significant time when you go to hire support staff or sell the business. Speaking of support staff, once you start making consistent sales you will want to invest in staff. There are plenty of successful t-shirt business owners who profit over $30,000 per month but want to quit because they’re sick of the grind. Running the operation daily by yourself will wear you down and can eventually cause your business to fail. Start by hiring out smaller tasks like FB ads management and progress towards hiring someone for customer service inquiries or researching new design ideas. The truth is, no one is Superman and we all need a break every now and again. Don’t try and do it all, create the systems (see Step 4) that will reduce your stress and burden, and still be able to earn money when you’re on that well-deserved vacation or living a digital nomad lifestyle. As we mentioned above, creating a business plan for your t-shirt business doesn’t just benefit newbies, but can greatly impact a currently profitable business. What this plan does is reduce your odds of diving into a business blind and increases your chances of beating out your competitors and creating a future asset. Did you start out with a business plan? If so, how has it helped shape your business?